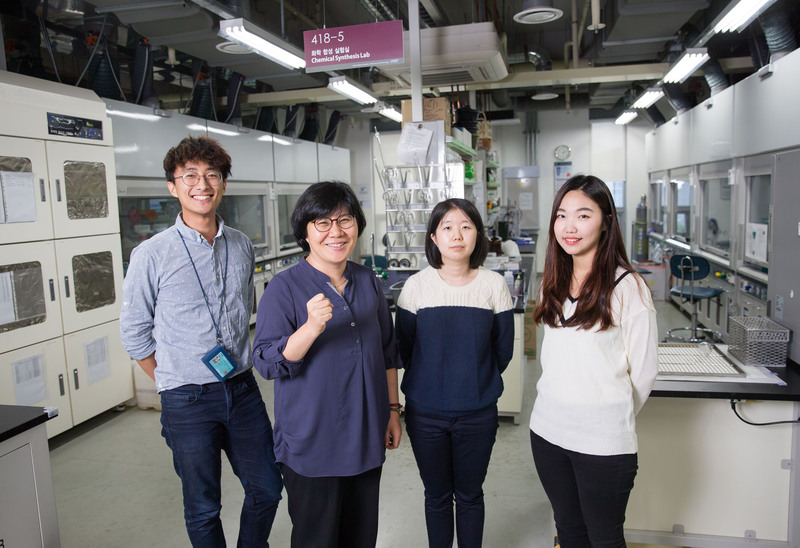 Prof. Mi Hee Lim of Natural Science and her students are posing for a portrait at their lab, UNIST. From left are YongHwan Ji, Prof. Lim, Shin Jung Lee, and JiYeon Han. Developing a novel therapeutic strategy that could target distinct pathological factors in AD. The results are now being published in the renowned scientific journal "Nature Communications". Despite increasing momentum in Alzheimer’s research, no clearly effective therapeutics against Alzheimer’s disease (AD) exist due to the limited understanding of its multifaceted aetiology. In addition, because of the lack of chemical tools to identify pathological factors, investigations into AD pathogenesis have also been elusive. 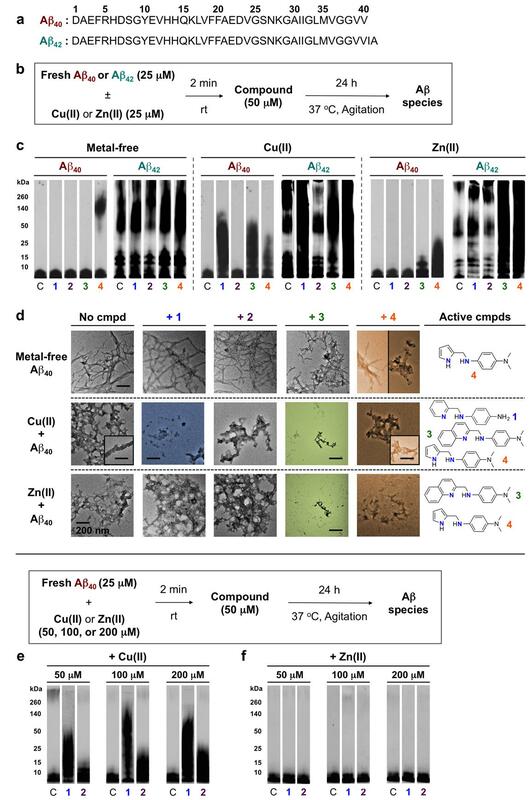 To identify such pathological features associated with AD, a joint team of researchers, affiliated with UNIST has developed chemical regulators that could target and control distinct pathological factors linked to AD pathology. They expect that such chemical tools will provide an unconventional avenue for discovering effective diagnostics and therapeutics for AD. 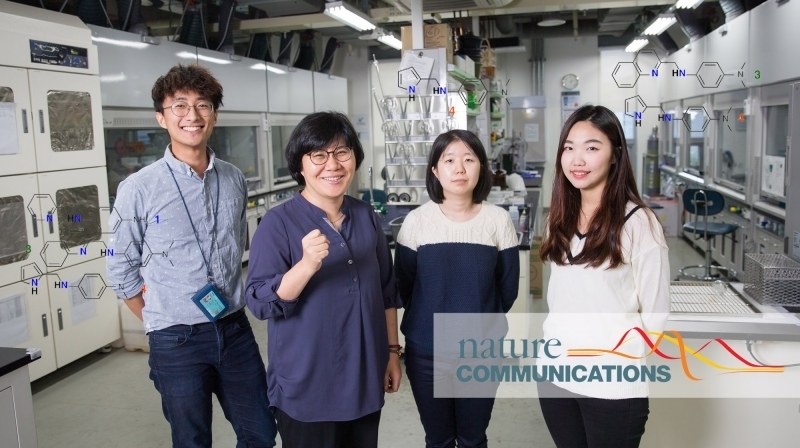 The research results achieved by Prof. Mi Hee Lim and Prof. Kwan S. Kim of Natural Science in collaboration with Joo-Yong Lee (Asan Institute for Life Sciences) at Asan Medical Center was published in the October issue of the the renowned scientific journal, Nature Communications. 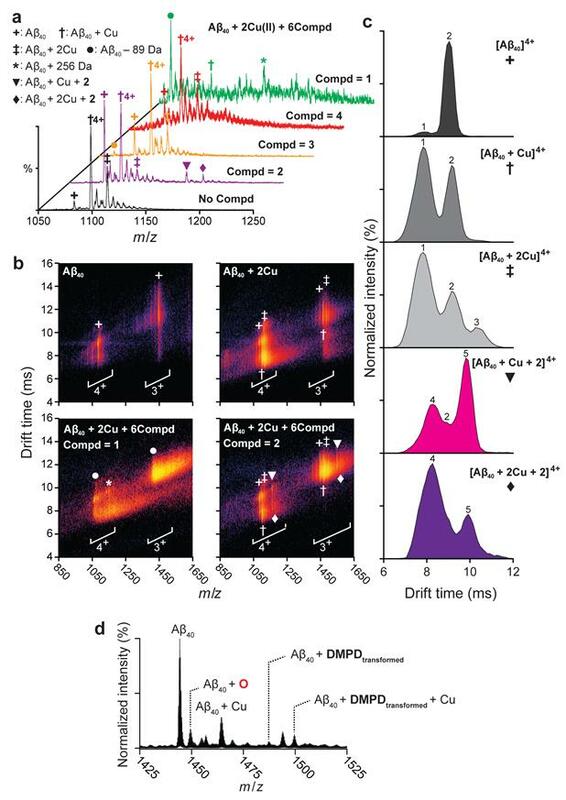 Targets associated with AD and ionization potentials of chemical tools. 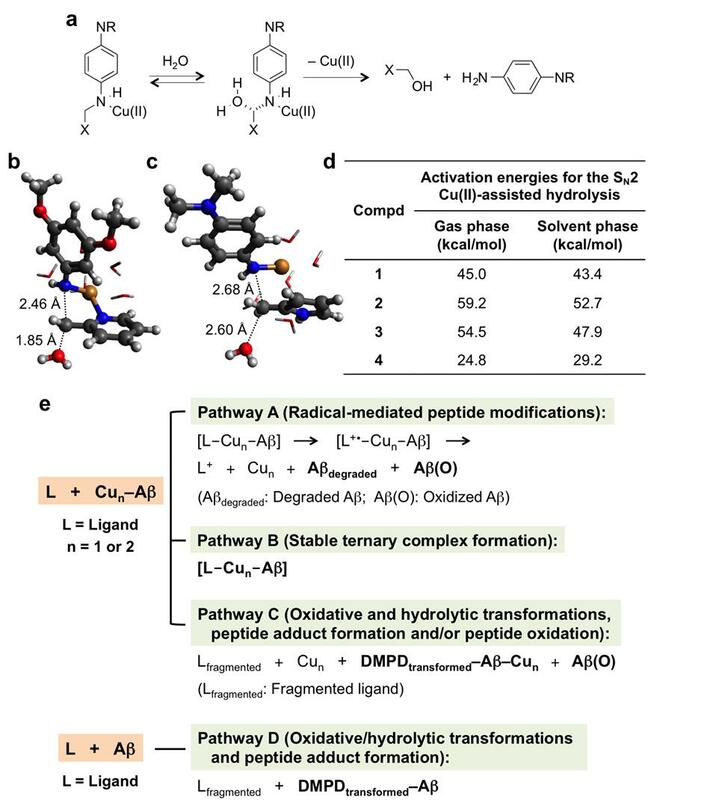 In the study, the team designed four small molecules based on a structure-mechanism-based design strategy for targeting and regulating distinct pathological factors, such as metals, amyloid-β (Aβ), metal–Aβ, reactive oxygen species, and free organic radicals, linked to AD pathology as chemical tools useful for AD research. 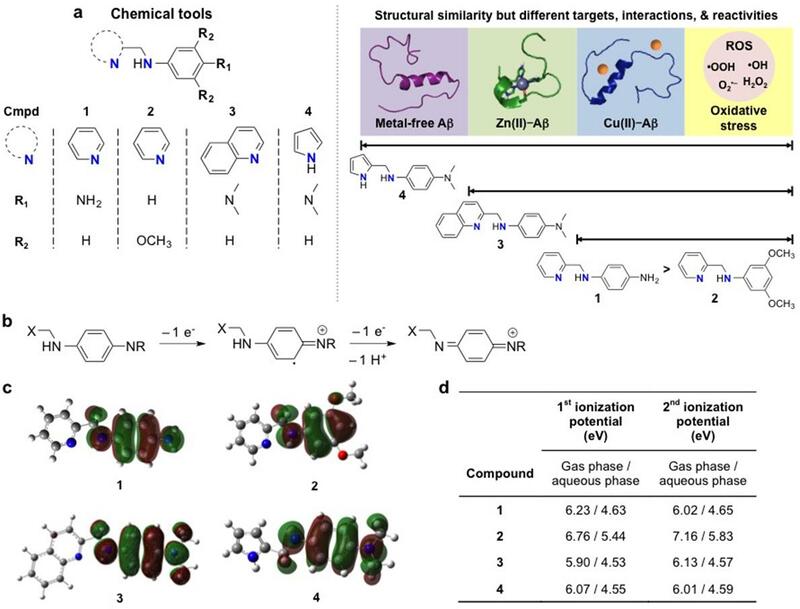 This suggests that their findings of the small molecules, able to probe distinct pathological facets via disparate mechanisms, demonstrate the feasibility of applying a structure-mechanism-based design concept to rationally construct chemical tools capable of illuminating the roles of multiple individual targets and their inter-relationships in AD pathogenesis. The reserach team expects that their new chemical tools show promise for deciphering AD pathogenesis and discovering effective drugs. This research has been supported by the 2016 Research Fund of UNIST and the National Research Foundation of Korea (NRF) grant funded by the Ministry of Science, ICT and Future Planning. Beck, M. W. et al. 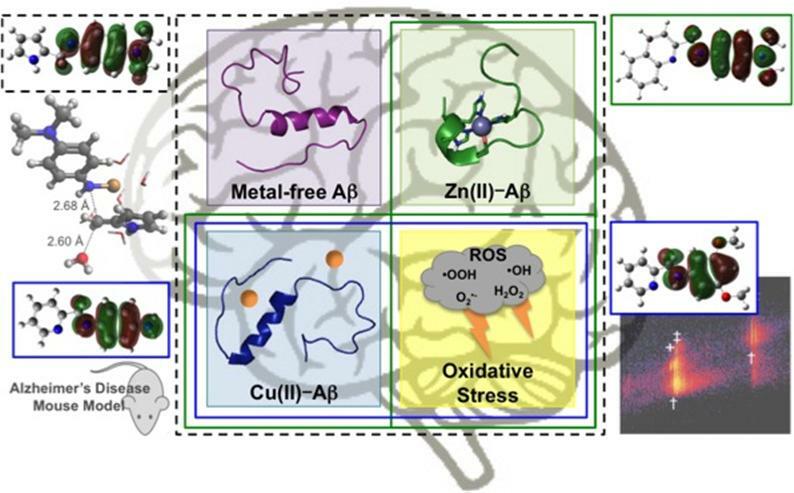 Structure-mechanism-based engineering of chemical regulators targeting distinct pathological factors in Alzheimer’s disease. Nat. Commun. 7, 13115 doi: 10.1038/ncomms13115 (2016).